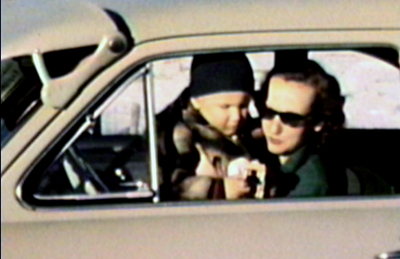 Included on this page are photos from family albums and frame grabs from nearly 40 years of home 8mm silent movies. 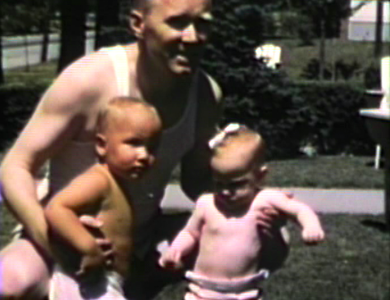 The y have been arranged chronologically by year. 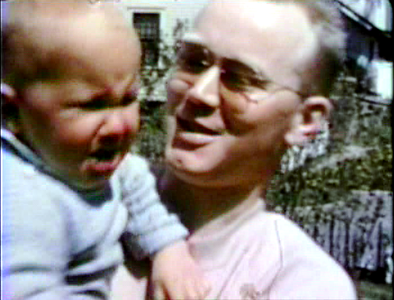 My father bought a hand cranked Bell & Howell camera in 1946 when Miles was born. These movies have all been transferred to DVDs and are in our family's possession. 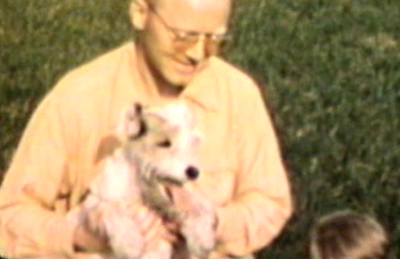 1946 Sioux City, IA Morrie introduces Miles to Jenifer. 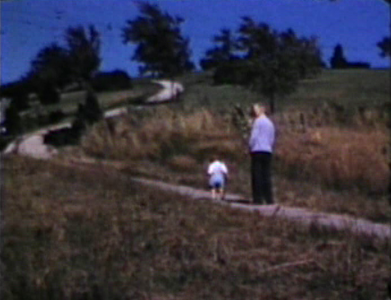 1947 3630 Jennings Street, Sioux City, IA Morrie and Miles walk by empty lot where our home would be built in 1950. 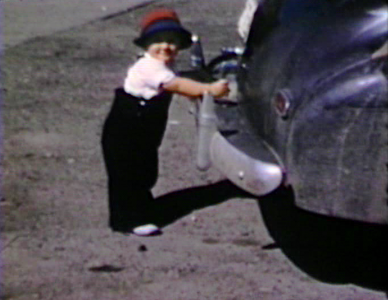 1947 Arnolds Park, IA Miles pushing car, or trying to. 1947 Now Hwy. 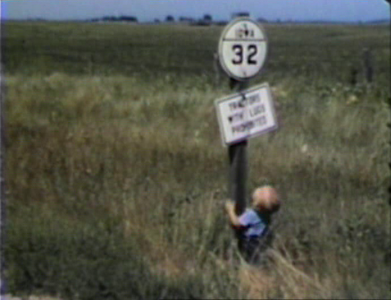 86, north of Milford, IA Miles loved signs. 1947 Sioux Apartments, Sioux City, IA Jane giving Miles a bath. 1948 Gapen's Lodge, Nipigon, Ontario Baa and Maa loading trunk of Buick to return home. 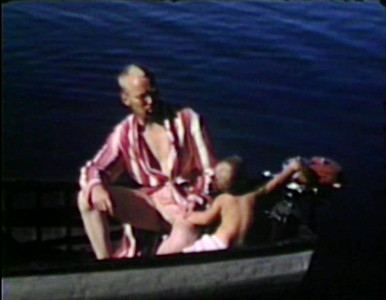 1948 Lake Nipigon, Nipigon, Ontario Morrie with guide. 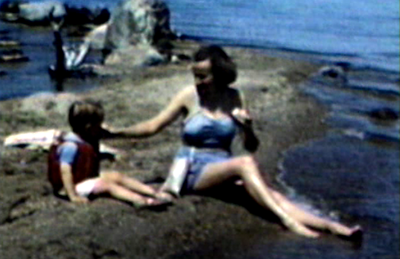 1948 Nipigon, Ontario Jane with Miles on rocky shoreline of Lake Nipigon. 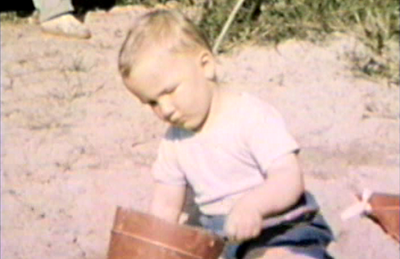 1948 Nipigon, Ontario Miles on shore of Lake Nipigon with sand bucket. 1948 Nipigon, Ontario Welcome sign. 1948 Sioux City , IA Jane and her dad, Baa, at Thanksgiving dinner in Sioux Apartments. 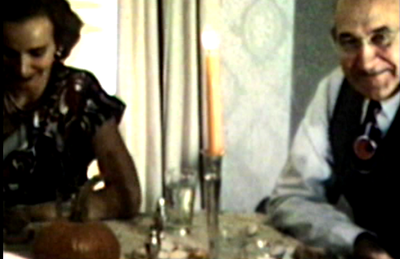 Mark & Cheryl Miller still have the silver candlesticks shown in this image. 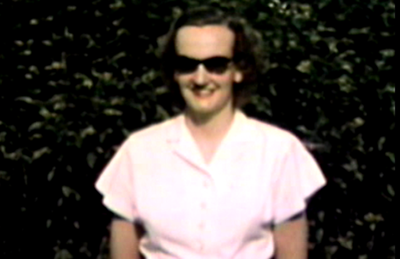 1948 Sioux City, IA Jane in backyard at Geggy's house, 3738 Jackson Street. 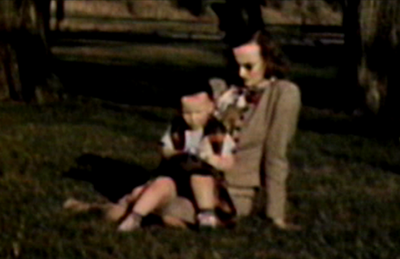 1948 Sioux City, IA Miles and Jane sitting on ground at Riverside Park. 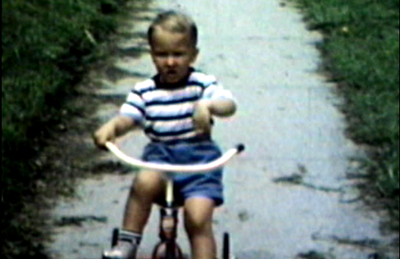 1948 Sioux City, IA Miles on trike outside the Sioux Apartments. 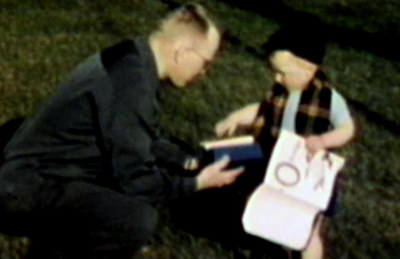 1948 Sioux City, IA Morrie and Miles at Riverside Park. 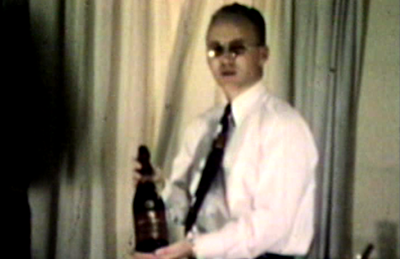 1948 Sioux City, IA Morrie with champagne at Thanksgiving dinner with their parents at Sioux Apartments. 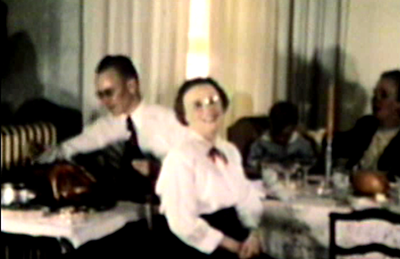 1948 Sioux City, IA Thanksgiving dinner with grandparents, Maa, Baa and Geggy at the Sioux Apartments. 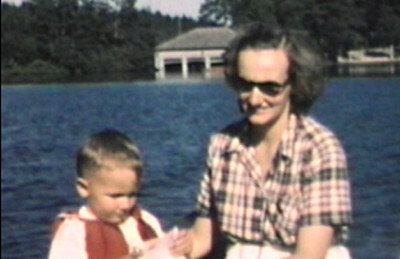 1949 Arnold's Park, IA Jane and Miles in boat. 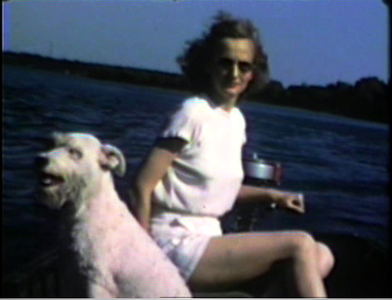 Jane and Miles in boat.